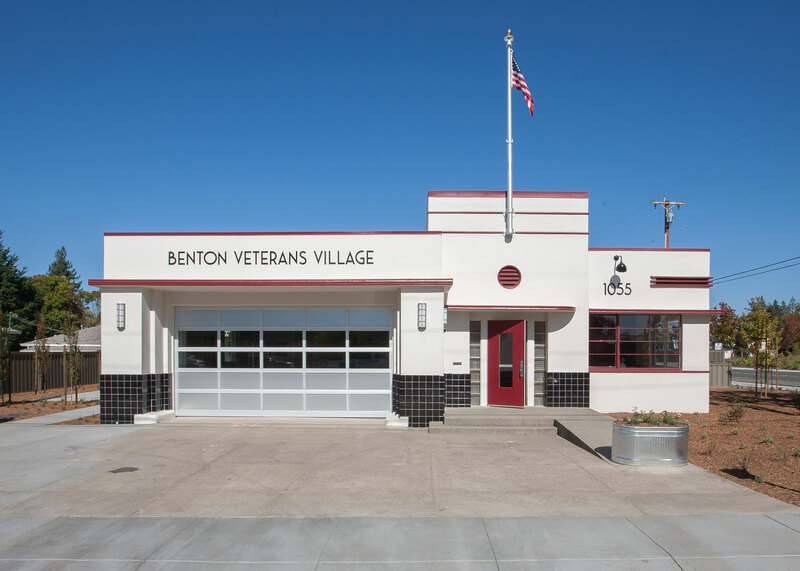 Benton Veterans Village at S.R.F.D. 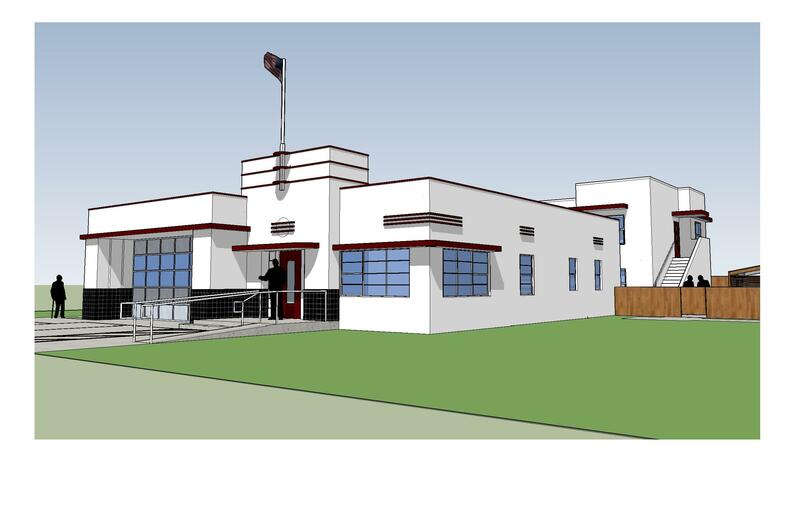 Firehouse No. 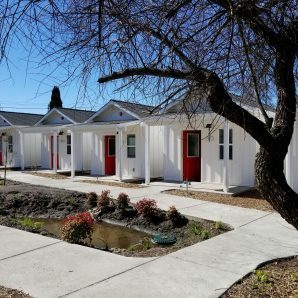 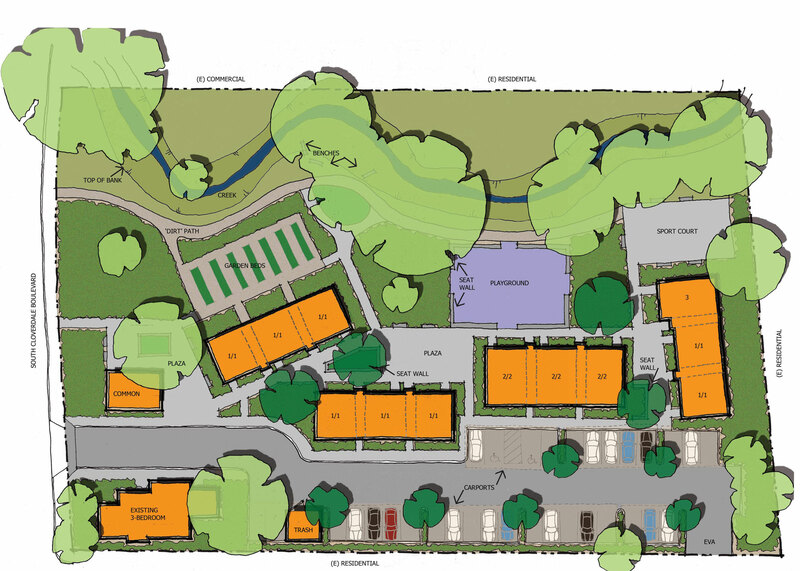 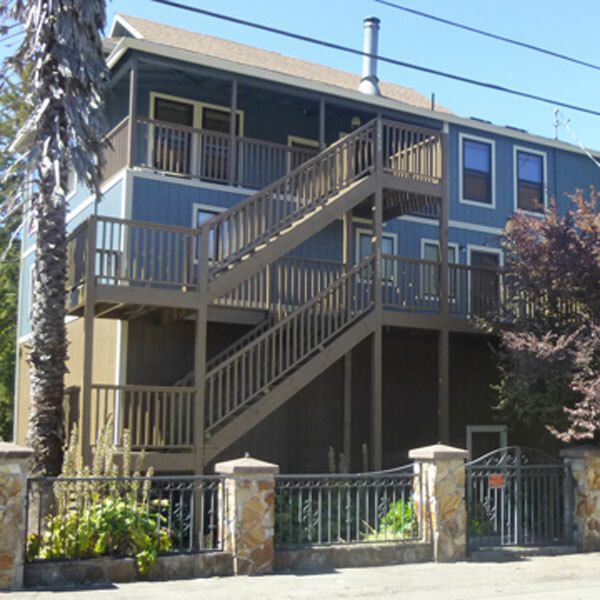 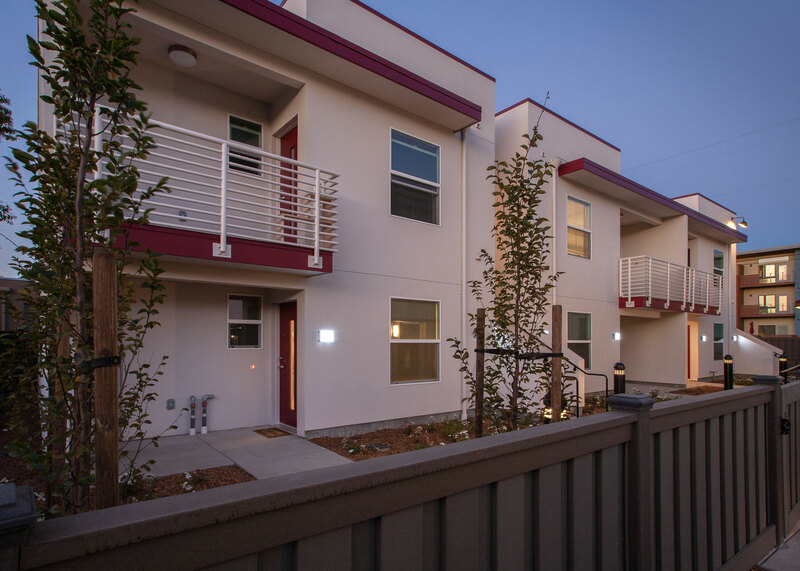 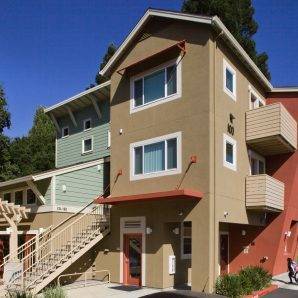 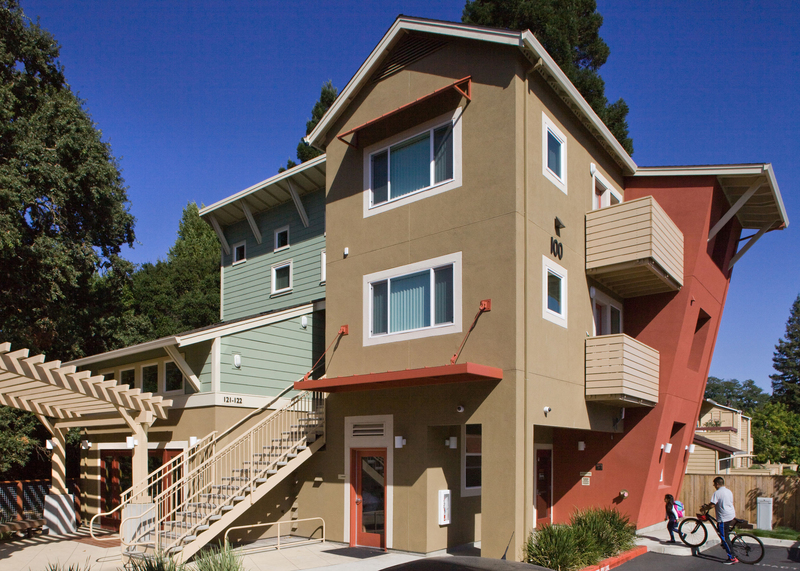 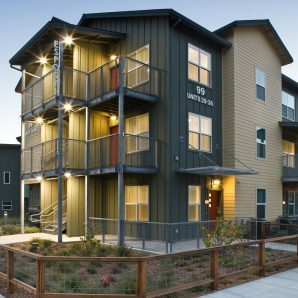 2 is a 7 unit affordable housing project targeting homeless veterans. 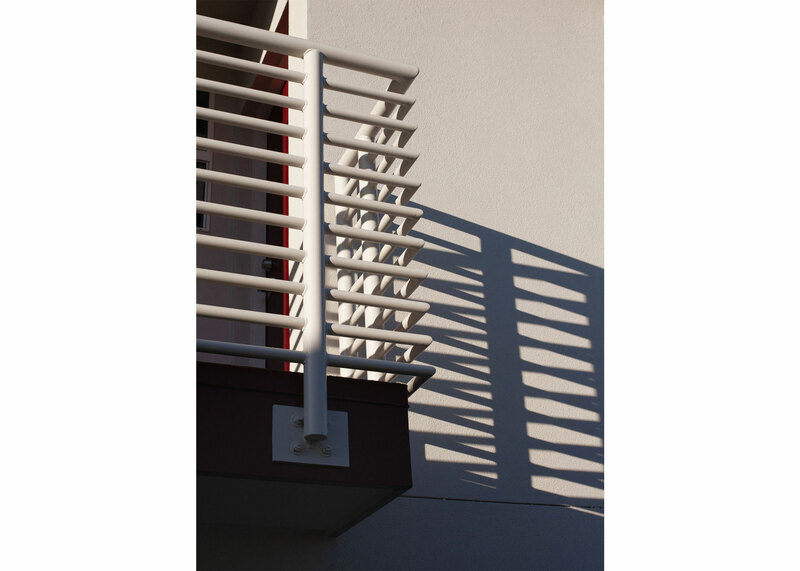 On-going operations will be provided by the federal VASH voucher program. 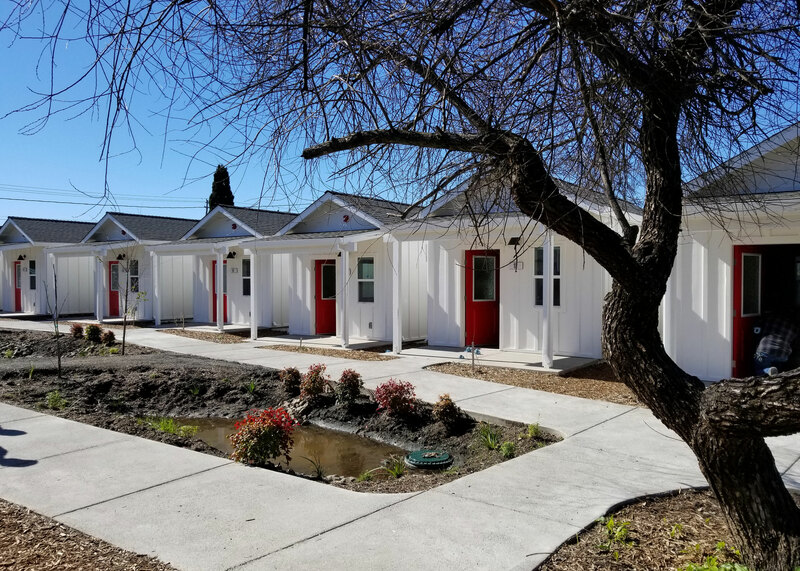 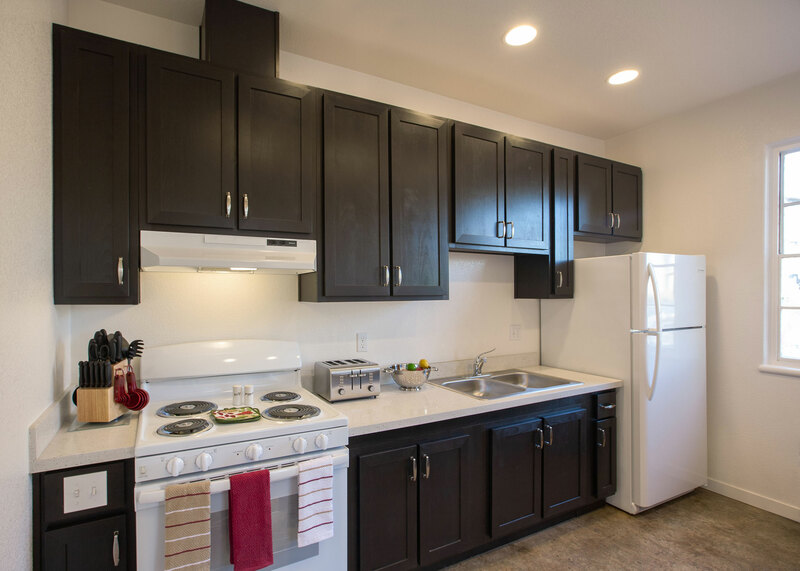 The VASH program combines HUD’s housing choice voucher program with case management and clinical services provided by the Veterans Administration. 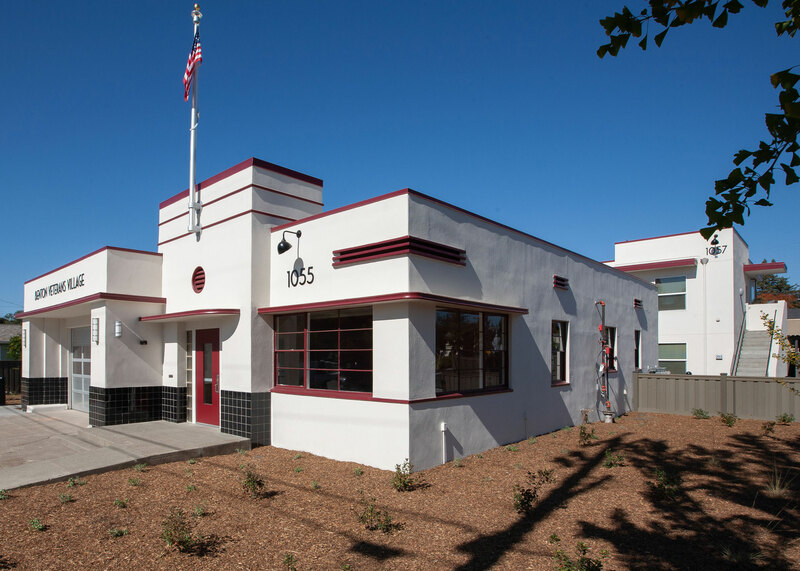 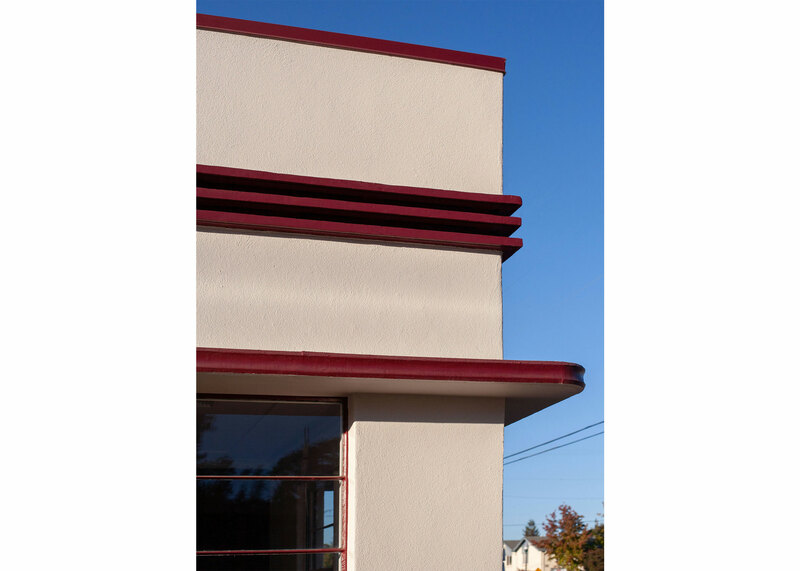 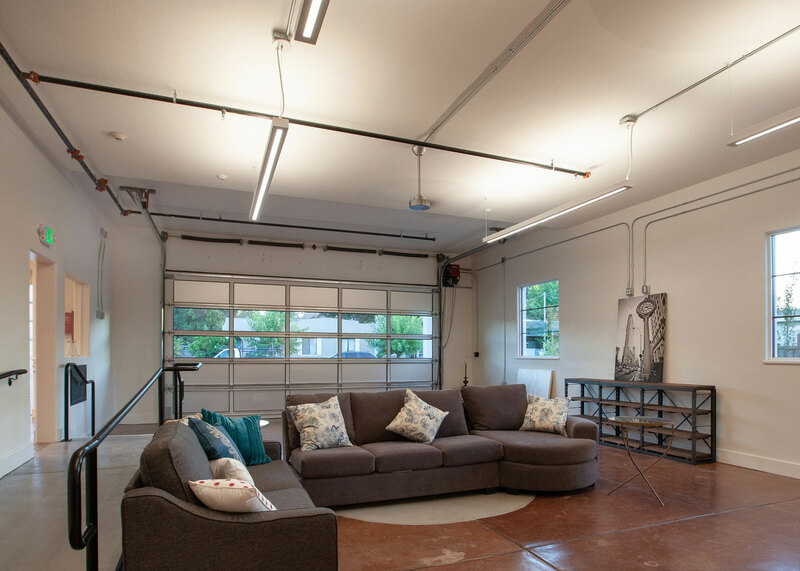 The project re-uses a streamline moderne fire station built in the 1940’s and also includes a new building on the site. 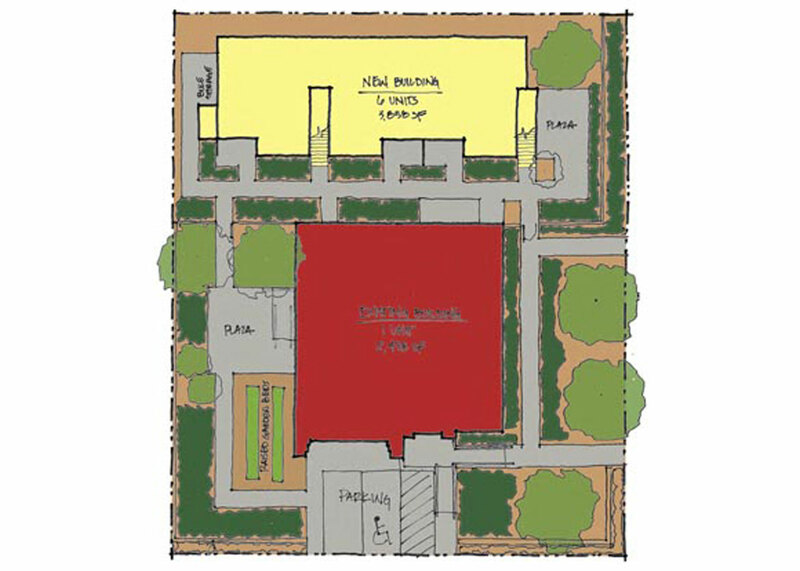 The site is located in the Junior College neighborhood close to services and transit. 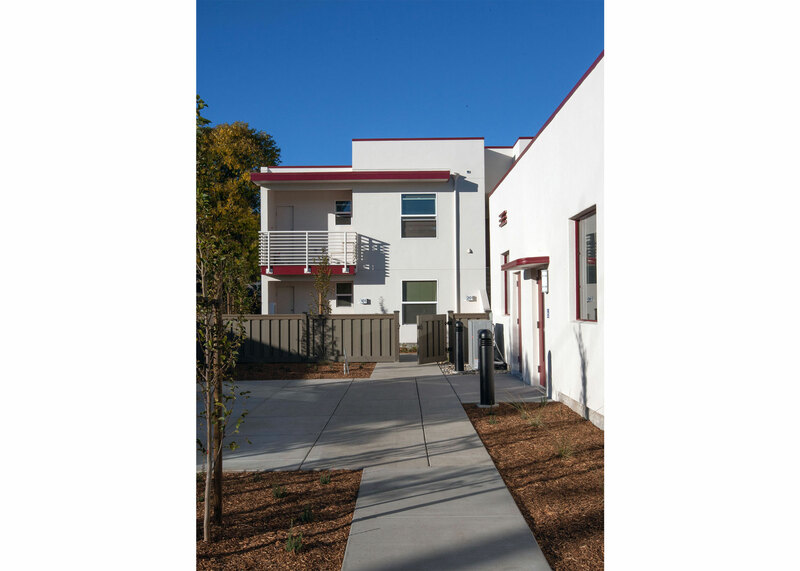 The site includes 2 patio areas for the residents in addition to secure bike parking and raised planters for residents to garden. 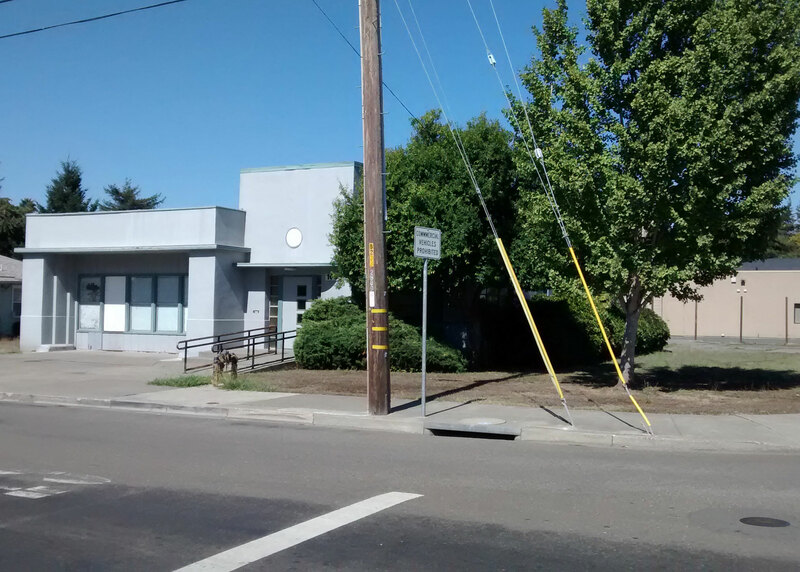 The existing building contains a manager’s unit, common laundry, shared meeting room and kitchen and has been brought up to current accessibility codes. 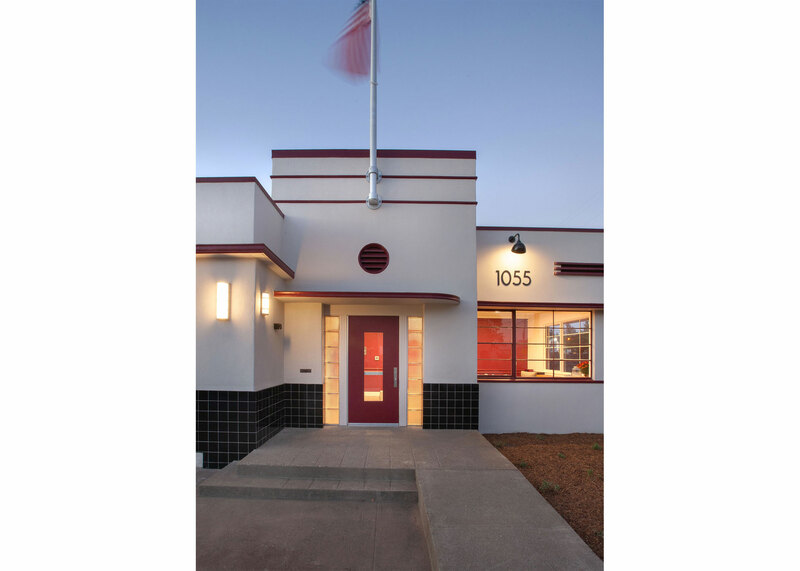 The building has been restored to repair some of the original detailing, including a new aluminum and glass roll-up door to what had been the fire truck bay, replacing the tile base and a new flagpole over the entry. 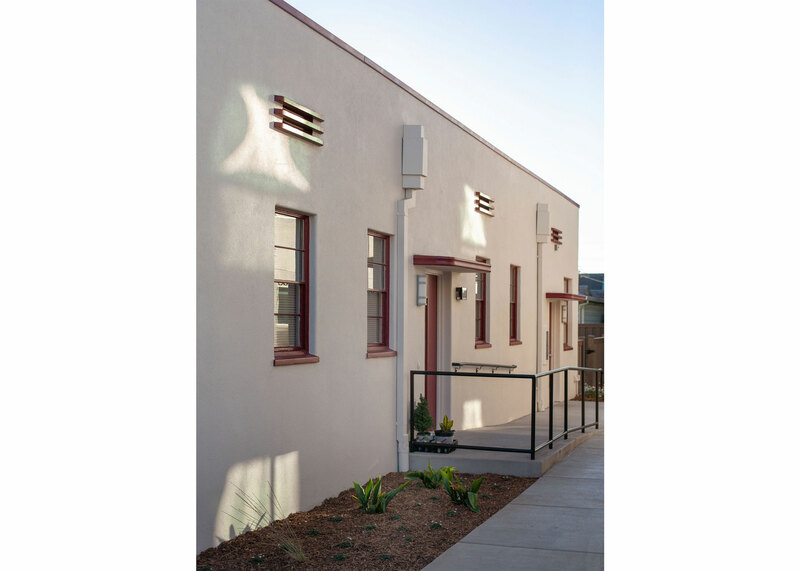 The new building, which sits behind the original building, picks up on some of the simple geometric massing of the fire station. 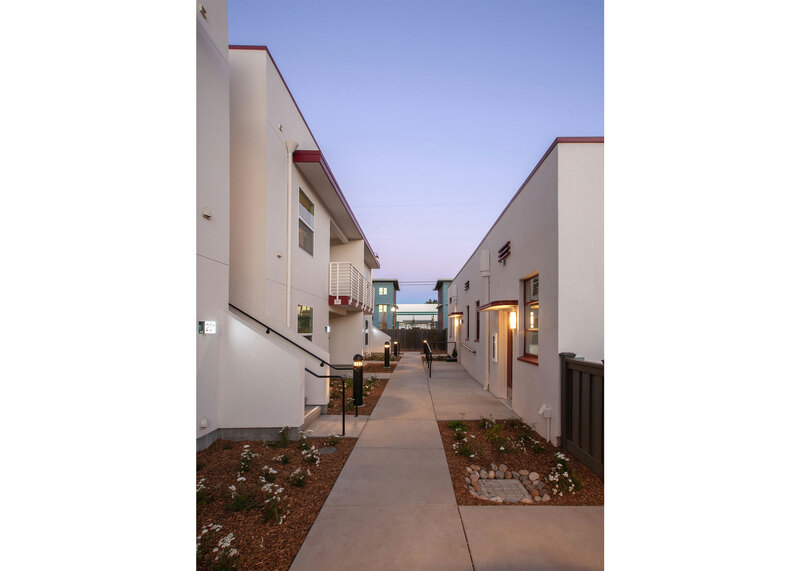 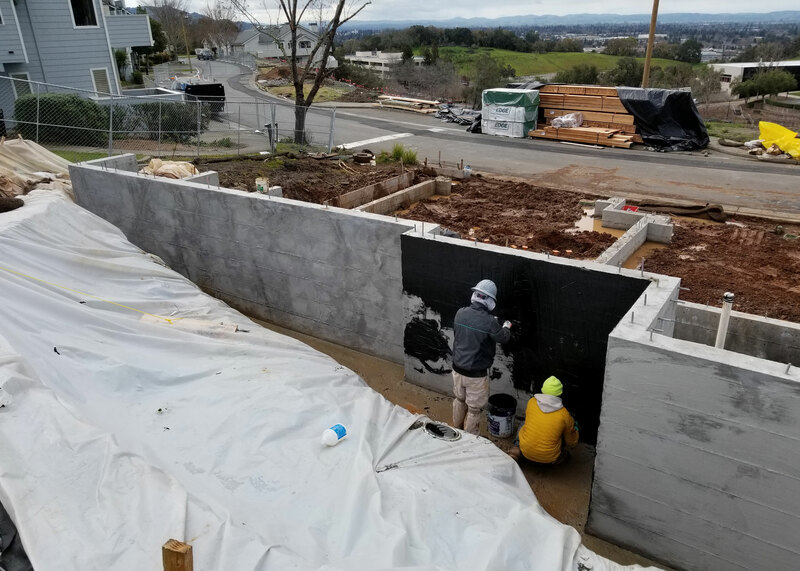 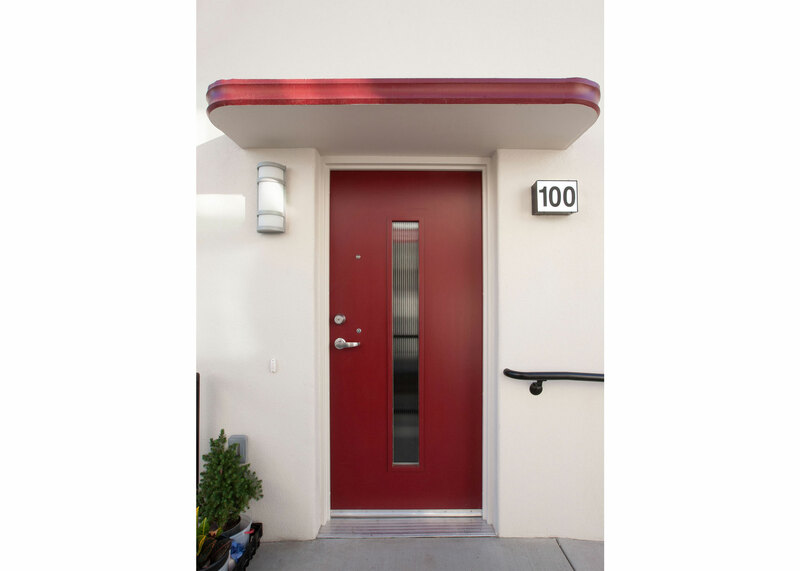 The primary exterior material is stucco with some painted wood and metal detailing.The six one-bedroom units each have their own exterior entry and include a private balcony or deck. 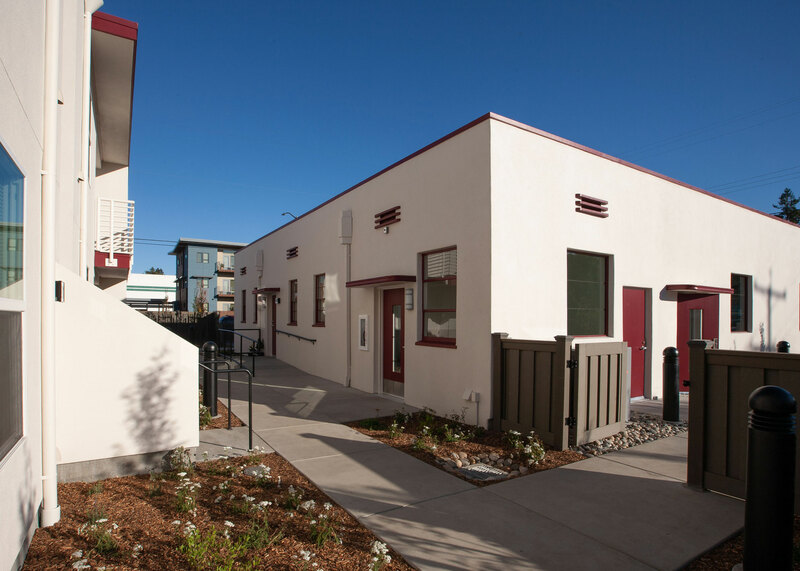 Units are accessible to allow residents to age-in-place. 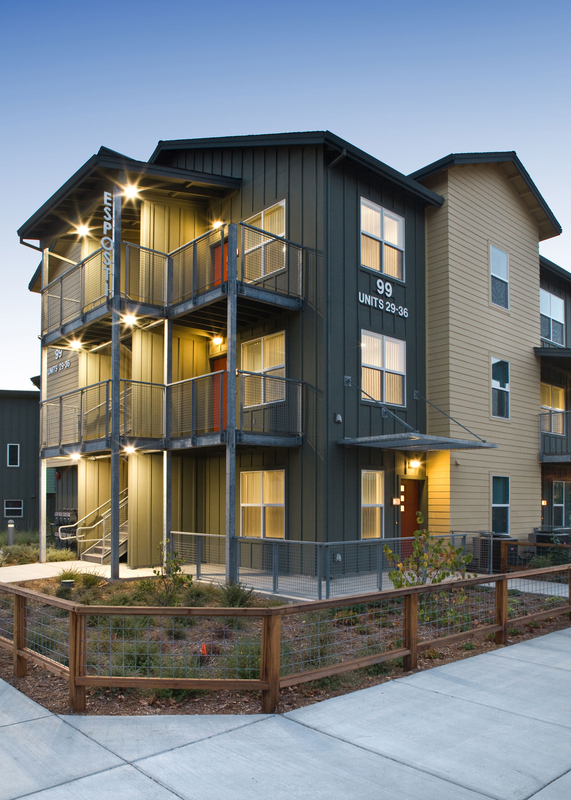 The project was designed to Build It Green standards, and certification is pending.